In 1967, during the time of peace, free love, and hitchhiking, nineteen-year-old Mary Terese Fleszar was last seen alive walking home to her apartment in Ypsilanti, Michigan. One month later, her naked body—stabbed over thirty times and missing both feet and a forearm—was discovered, partially buried, on an abandoned farm. A year later, the body of twenty-year-old Joan Schell was found, similarly violated. 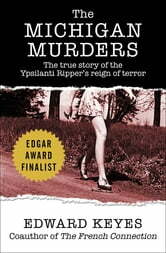 Southeastern Michigan was terrorized by something it had never experienced before: a serial killer. Over the next two years, five more bodies were uncovered around Ann Arbor and Ypsilanti, Michigan. All the victims were tortured and mutilated. All were female students. After multiple failed investigations, a chance sighting finally led to a suspect. On the surface, John Norman Collins was an all-American boy—a fraternity member studying elementary education at Eastern Michigan University. But Collins wasn’t all that he seemed. His female friends described him as aggressive and short tempered. And in August 1970, Collins, the “Ypsilanti Ripper,” was arrested, found guilty, and sentenced to life in prison without chance of parole. 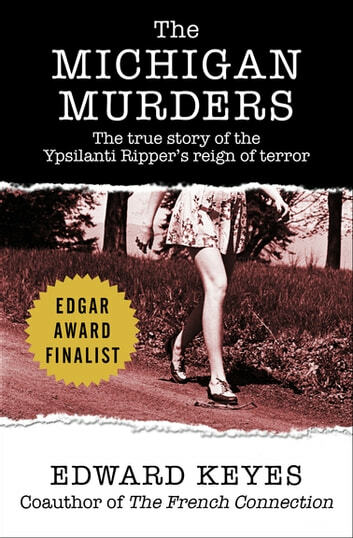 Written by the coauthor of The French Connection, The Michigan Murders delivers a harrowing depiction of the savage murders that tormented a small midwestern town. Nothing new here. Just rehashing the facts. Copy and paste court transcripts. Nothing about motive, upbringing, personality analysis. No assumption, nothing. We know absolutely nothing on the murderer. Not even his childhood. No character interviews, nothing. Very highly priced for information readily available.